Like all good travel sites, at Best Car Hire we compare car hire Lanzarote Airport prices to find you a cheap car rental Lanzarote Airport in the Canaries and ensure that you avoid over-the-top car rental prices and find an affordable car at the best price. You then save up your Euros to spend on other holiday treats and hit the road to explore your holiday destination or attend your important business meeting in Spain as soon as possible! Choose from a selection of the best Lanzarote Airport car rental deals including people carrier or minivan, MPV (Multi Purpose Vehicle), SUV (Sports Utility Vehicle), economy, executive, saloon, hatchback or luxury car rental Lanzarote vehicles. Driving a car is important in Lanzarote to ensure you explore every inch of the volcanic Island of Fire as it is sometime known. Which Car Rental Company will provide Car Hire Lanzarote Airport ? We bring you the best car rental deals at Lanzarote Airport from car rental companies including Budget, Dollar, Europcar, Hertz, Goldcar, Interrent, Keddy by Europcar, Orlando, Rhodium, Avis, Sixt, Thrifty, Enterprise and Top Car. Which Types of Car Can I Book at Lanzarote Airport ? Alfa Romeo Giulietta, Audi A3, Audi A3 Convertible, Audi A4, BMW 1 Series, BMW 2 Series Active Tourer, BMW 3 Series, BMW 5 Series, Citroen C4 Cactus, Citroen Jumper,Fiat 500, Fiat 500L, Fiat 500x, Fiat Panda, Fiat Tipo, Ford Fiesta, Ford Focus, Ford Ka, Hyundai Elantra, Hyundai i10, Hyundai i40, Hyundai ix35, Mazda CX-3, Mini Countryman, Mini Cooper, Mini Cooper Convertible, Nissan Juke, Nissan Qashqai, Opel Astra Estate, Opel Astra, Opel Corsa, Peugeot 308, Peugot 508, Peugot 508 Estate, Peugot 5008, Peugot Partner, Peugot Traveller, Renault Clio, Renault Kangoo, Renault Megane, Renault Scenic, Seat Ibiza, Seat Leon, Seat Toledo, Skoda Fabia Estate, Skoda Octavia Estate, Smart ForFour, Toyota Aygo, Volkswagen Beetle Convertible, Volkswagen Caravelle, Volkswagen Golf, Volkswagen Passat, Volkswagen Polo or the Volkswagen Up. A minivan or people carrier is the best economical choice of vehicles for all those occasions where you need to transport multiple groups of people such as weddings, anniversaries, children’s parties, hen parties, stag parties or sporting events. 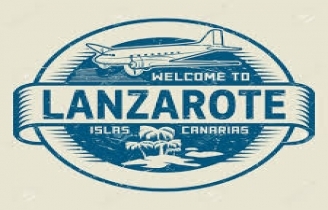 If you are arriving at Lanzarote Airport and your group of friends want to hire a people carrier or a minivan to travel to your luxury holiday villa or to have a fun golf outing at one of the golf courses in Lanzarote (Lanzarote Golf Resort and Costa Teguise Golf), we recommend that you book the best MPV at least two months in advance. As such, you will find that rental vehicle availability at Lanzarote Airport will be easier and you will get cheaper people carrier rental rates. The summer time, Christmas and Easter holidays are our busiest times for MPV or people-carrier Lanzarote Airport bookings, so it is best to plan your car hire accordingly. We find that travellers benefit from a people carrier hire Lanzarote Airport especially when they need a car rental be it a 6 seater, 7 seater, 8 seater or even 9 seater hire car. Citroen Berlingo, Citroen C4 Grand Picasso, Citroen C4 Picasso, Opel Vivaro, Renault Trafic, Renault Kangoo, Volkswagen Caddy, Citroen Jumper 9 Seater, Peugot Partner, Renault Scenic, Volkswagen Sharan, BMW 2 Series Active Tourer, Seat Alhambra, Peugot Traveller, Volkswagen Touran, Peugot 3008, Peugot 5008 or the Volkswagen Transporter. Most travellers who rent an SUV Lanzarote Airport, benefit from its ability to carry more people than your average car, more cost-effective fuel consumption, safer due to their more robust chassis, more comfortable driving off-road on rough terrain due to their extremely efficient suspension and additional hill climbing control due to front-wheel or four-wheel drive (4WD) - handy for the tough volcanic terrain if you want to drive to many of the remote villages nestling in the mountains of Lanzarote. When renting an SUV Lanzarote Airport, your choice of hire cars include :- Renault Captur, Nissan Qashqai, BMW X1, Peugot 2008, Hyundai Tucson, Toyota C-HR or the Hyundau ix35. Where is Lanzarote Arrecife Airport (ACE)? Arrecife Airport (ACE) is located on the Spanish island of Lanzarote (part of the Canary Islands) and is also known as Las Palmas Gran Canaria Airport or Gando Airport. Lanzarote ( Isla del Fuego - the Island of Fire), is located north east of Fuerteventura in the Canary Islands. Lanzarote is a popular tourist resort with holidaymakers heading to the popular Spanish resorts of Puerto del Carmen, Playa Blanca, Costa Teguise, Caleton Blanco, Famara, Papagayo and La Graciosa. Which Currency is used in Lanzarote? The currency used in Lanzarote is the Euro - get the latest foreign exchange rates..
Get an up to the minute detailed view of the weather in Lanzarote. Lanzarote and the other Canaries are thought to have the perfect temperature all-year-round, much cooler than the Sahara desert which lies at the same latitude, but much warmer and drier than the rest of Europe. The major change is that travellers will need at least 6 months left on their UK passport from their date of arrival at their destination (Lanzarote, Spain), however this only affects travel to certain countries. Will I Need a Visa for Travel to Lanzarote Airport after Brexit ? Alternatively you may book your international car hire at Murcia, Madrid, Alicante, Gran Canaria, Ibiza, Tenerife, Majorca, Malaga or other major airports and world-wide car rental locations. Al igual que todos los buenos sitios de viajes, en Best Car Hire comparamos los precios de alquiler de coches en el Aeropuerto de Lanzarote para encontrarte un alquiler de coche barato en el Aeropuerto de Lanzarote en las Islas Canarias y asegurarnos de que evitas los mejores precios en alquileres de autos y de encontrar un coche al mejor precio. precio. Luego, ahorra sus euros para gastarlos en otras delicias de vacaciones y sale a la carretera para explorar su destino de vacaciones o asistir a su importante reunión de negocios en España lo antes posible. Elige entre una selección de las mejores ofertas de alquiler de coches en Aeropuerto de Lanzarote, incluyendo: monovolumen o monovolumen, monovolumen (MPV), SUV (vehículo utilitario deportivo), económico, ejecutivo, berlina, o vehículos de lujo para alquilar en Lanzarote. Manejar un auto es importante en Lanzarote para asegurarte de explorar cada centímetro de la Isla de Fuego volcánica como se la conoce en algún momento. Our multi-lingual team of customer care agents are on hand 24 hours a day, 7 days a week to assist if you should require assistance with your car hire Lanzarote Airport.